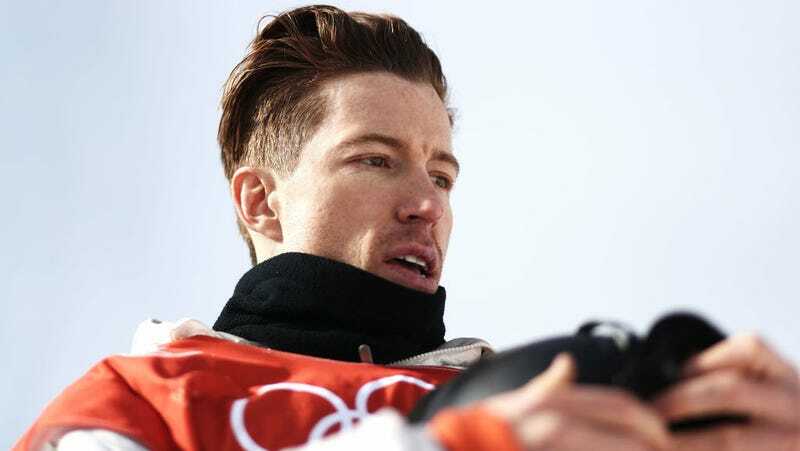 PYEONGCHANG, South Korea—As is customary for American athletes who have medaled, Shaun White conducted a press conference—alongside a handler from USA Ski and Snowboarding—after earning his third lifetime Olympic gold in the halfpipe. During this press conference, White was asked about a sexual harassment lawsuit that was filed against him by a former bandmate in 2016. He dismissed the suit as “gossip” and refused to answer questions about it. In 2016, White was sued by a former bandmate named Lena Zawaideh for sexual harassment, wrongful termination, wage nonpayment, and other labor code violations. Exhibited in the lawsuit was a series of graphic and demeaning text messages that Zawaideh says White had sent her. Via a representative, White did not deny that he had sent the texts. That suit was settled out of court, and it was not mentioned or discussed in any meaningful way during last night’s broadcast of the halfpipe event on NBC. Instead, NBC went out of its way to promote White as an All-American hero throughout the competition. At the press conference today, reporters tried to bring up the harassment lawsuit. When the reporter tried to follow up, White’s handler cut him off saying, “We’re here to talk about the gold medal.” As Christine Brennan pointed out, no female journalists were allowed to ask a question.